Methadone is an opioid or narcotic medication that is used to treat pain and help people get through the drug detoxification process. It helps to reduce withdrawal symptoms for people who have become addicted to narcotic drugs, like heroin, without producing any feelings of being high. When used for pain management, methadone should only be prescribed to individuals with chronic long-lasting pain that has not responded to other modes of treatment. Available under the brand names of Methadose and Dolophine, methadone is most commonly prescribed as a tablet or solution that is taken by mouth. In some cases, doctors can administer doses of the drug through an injection. Methadone has become a widely prescribed medication because it is usually more cost-effective than other prescription painkillers. The effects of methadone should be felt within 30 minutes and last for about 8–12 hours. 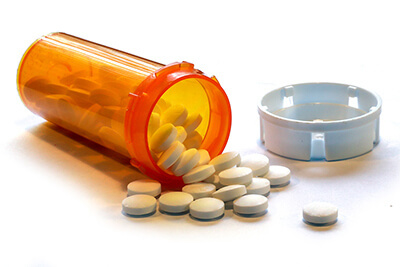 The prescribing doctor will closely monitor the dosages and effects, and can adjust the prescription as needed. The Substance Abuse and Mental Health Services Administration (SAMHSA) explains that methadone works by affecting the brain and nervous system’s responses to pain. Painful symptoms of opioid withdrawal, as well as the euphoric effects of feeling high, are blocked. SAMHSA refers to this as medication-assisted treatment (MAT). In combination with therapy and participation in support groups, MAT can provide a comprehensive addiction treatment program. According to SAMHSA, all individuals who are receiving methadone treatment for an opioid addiction must be participating in a drug treatment program. Through this program, healthcare providers can provide and monitor methadone for each client as needed. Methadone can only be obtained through a certified opioid treatment program. Many factors influence how long methadone stays in your system. Individual health factors, such as age, weight, metabolism, liver function, and additional ailments, as well as duration of methadone use, frequency of use, dosage amount, and concurrent use of any other substances, all impact how quickly methadone gets processed through your body. Clinical opinions about how long methadone stay in your system vary anywhere from 2 days to up to 13 days. While methadone is typically processed out of your system within two weeks, traces of the drug can show up for much longer, depending on the type of drug test used. Employers, addiction treatment programs, athletic organizations, and law enforcement officials may all request methadone drug tests. While standard drug tests often test for opioid use, such as heroin, codeine, and morphine, they do not pick up on methadone use. Because of this, specific and more costly tests must be used if the drug test is screening for methadone use. Urine, saliva, hair, and blood tests have all been developed to test for the presence of methadone in the system. Urine tests: Urine tests are the most common form of testing for methadone use. The detection window for urine in a user’s system is one hour to two weeks following last ingestion. Because urine tests are noninvasive, easy to administer, relatively inexpensive, and have a long detection period, they are usually the preferred mode of methadone testing. Saliva tests: Saliva tests offer a convenient and noninvasive way to test for methadone use. Traces of methadone can be detected in saliva 30 minutes after ingestion and remain there for up to a few days following last use. Hair test: Hair tests are best used to test for methadone use over time. Someone with a long-term habit of methadone use will have traces of methadone in their hair. For someone who has just started taking methadone, it can take up to a couple of weeks for methadone to appear in the hair. Hair tests are helpful for testing for long-term methadone use, as traces of the drug will remain in the hair for many months after last use. Blood test: Methadone can be detected in the blood within 30 minutes of last use and remain detectable for up to a few days. While blood tests are highly accurate, they are expensive, invasive, and have a relatively short detection window, so they are not commonly used to test for methadone. It has generally been accepted that methadone will process out of your body within two weeks. In comparison, Suboxone, another pharmaceutical medication used for the treatment of opioid dependence, is thought to primarily clear from your system within nine days, though it can take up to two weeks. Heroin, on the other hand, is a highly addictive illicit drug derived from morphine, and it has a much shorter half-life than methadone and Suboxone. Because of this, it clears out of the body much quicker. It can clear out of your system in less than hour, though the morphine ingested from the heroin can take up to two days to clear from your body. Like all narcotics, methadone can lead to addiction and overdose. The US National Library of Medicine’s Medline Plus states that methadone can be habit-forming. It must be taken exactly as directed by your healthcare provider and not for any longer than necessary. Conditions such as history of alcohol use, mental health issues, and heart or breathing problems can increase your likelihood of experiencing adverse side effects. The National Alliance on Mental Illness (NAMI) warns that physical dependency on methadone can develop if it is taken regularly for an extended period of time. Once physical dependence sets in, you are likely to experience withdrawal symptoms when you stop taking methadone. 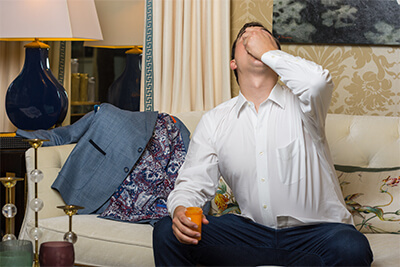 The timeline of withdrawal symptoms is similar to opiates, and withdrawal is likely to set in within a couple days of last use and last for 7–10 days. Even if you start to experience withdrawal symptoms, it is important to consult your healthcare provider before stopping the drug. Serious side effects, such as extreme dehydration, have occurred in individuals who have abruptly stopped taking methadone. 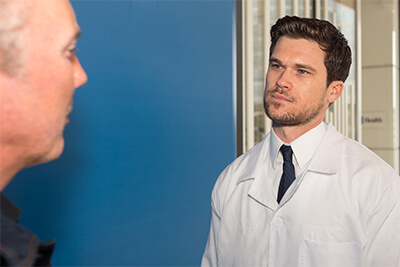 When used properly, methadone is closely monitored by healthcare providers and only used for a short period of time, so addiction is less likely to occur. However, whether being used medically or recreationally, overdose can occur. In a 2017 report, the Centers for Disease Control and Prevention (CDC) shared methadone-related overdose deaths increased 600 percent from 1999 to 2006, with 784 deaths in 1999 and over 5,406 deaths in 2006. Although methadone is used to treat addiction to other opioid drugs, it is often necessary to seek treatment for a methadone addiction itself. Medically assisted detox might be required in the case of a methadone addiction. An alternative medication, like Suboxone, may be prescribed to help individuals transition off methadone. If appropriate, healthcare providers may instead choose to gradually decrease your dosage of methadone until you are completely off the drug. Both of these methods aim to reduce the severity of withdrawal symptoms during the detox process. When withdrawal symptoms are less severe, people are more likely to stick with treatment, remain sober, and avoid future relapses. Following the detox process, addiction treatment can begin. Many treatment programs are available that start by helping clients through the detox process and take them all the way through planning appropriate aftercare, explains the National Institute on Drug Abuse (NIDA). Long-term and short-term residential programs, outpatient treatment, drug counseling, and community support programs are all effective treatment options. Individual circumstances and goals will help determine which treatment option is the best for you. Residential treatment programs provide highly structured 24-hour care. Outpatient programs offer more flexibility and, depending upon the intensity of treatment, opportunities to continue participating in work and family events. Both residential and outpatient programs aim to include a comprehensive treatment plan, including individual counseling, group counseling, health and drug education, occupational assistance, and establishment of a strong care plan following treatment. Ongoing individual therapy and/or participation in community support programs are often components of an aftercare plan. Due to concerns about the increasing number of overdoses associated with methadone use and the steep increase in methadone prescriptions for pain, the American Pain Society (APS) released a 2014 guideline about best and safest methadone use practices. It recognized that methadone-assisted treatment is an essential part of treatment for opioid addiction, as well as chronic pain management, and that it has been associated with many positive outcomes. A reduction in drug use, prolonged participation in therapy, and lowered chances of dying from drug overdose were all reported following methadone treatment. Warnings remained, however, about the dramatic increase in methadone use, possibility for addiction, complicated interactions with other drugs, and relatively small use of alternative treatments to methadone. APS concluded that methadone has its place in the medical world but must be used under safe and well-informed conditions.